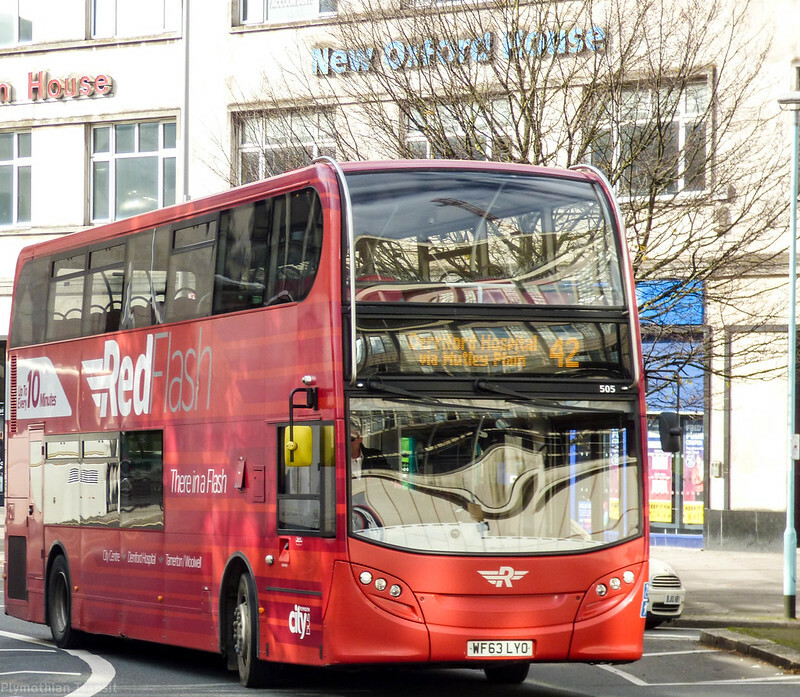 Plymouth Citybus are launching a new service, Service 42 on 1st April 2018. The service will link the City Centre, William Prance Road / Brest Road areas and Derriford Hospital and Marjons. To launch the service and also give people the chance to find out about it and other bus services in the City, including walking, cycling and other active travel options, Plymouth City Council’s Plymotion Team and Plymouth Citybus are running a travel promotion drop in on the bus as detailed below and would love to meet staff. Please see the attached flyer for more information. 2. Bus Stop, William Prance Road, just along the road from St Matthews School / Palmerston Heights, which is also just down the road on the opposite side to Hellermann Tyton 14:00 – 16:00. Why is Citybus using the number 42 for this "new" service, when it isn't "new", and when for so many years (decades?) the 42 went to Tamerton Foliot? There are now four different destinations each hour on the service fro the City Centre to Derriford. How about four different, but maybe consecutive numbers? The 'New' bit is just a diversion off the usual service to serve the Plymouth International Estate - they have tried it before and hardly anyone used it. I guess they keep it as the 42 as the main bulk of passengers are on the Derriford Hospital - City Centre section with a fair bit of competition from Stagecoach with their 1 service and the Park & Ride 101. all the 42s go to Derriford which is easier than 4 different numbers. People down here dont like change!